One of the most compelling labour stories in Alberta’s post-secondary sector over the past two years has been the mistreatment of sessional faculty at MacEwan University and their subsequent mobilization to protect themselves from their own union. More than half (~60%) of MacEwan’s instructional staff are contingent workers, with little job security despite years of service. The use of limited-term contract staff has been a long-standing issue at MacEwan, stretching back into the 1990s. The presence of such a large pool of secondary labour creates two interesting labour-relations dynamics. Second, sessionals have the votes to take over the faculty association (FA) and radically renegotiate the collective agreement in their own interests. There are numerous barriers to this mobilization, but the potential for intra-union conflict has long existed. In the summer of 2017, when most sessionals were not employed and thus were not voting members of the faculty association, the FA ratified a new, two-year collective agreement. 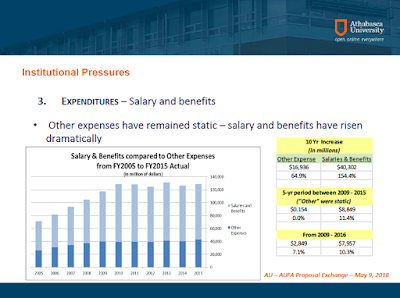 Permanent faculty saw extensions of their salary ranges while many sessionals saw significant cuts to their pay (some would lose up to 22% of their wages). The MacEwan FA justified negotiating cuts to the wages of their most vulnerable members (while increasing the salaries of their most privileged members) as reasonable for the association as a whole. It also noted that sessionals were not allowed to vote because they weren’t employees at the time of the vote, even though most would return in the fall and be subject to the agreement. This treatment galvanized a portion of the sessional population to form the MacEwan University Sessional Steering Collaborative (MUSSC). By October of 2017, MUSSC had achieved two important changes in the faculty association bylaws. The first change extended the duration of sessional staff membership in the FA for up to a year after their contract expires. This prevents the future exclusion of sessionals from contract ratification votes due to flukes of timing. The second change allows sessionals to run for seats on the FA executive board without restriction. Previously, sessionals were only allowed to fill two positions, despite comprising the majority of the membership. In the early spring of 2018, there was an additional scuffle between the FA executive and MUSSC. The FA executive proposed constitutional amendments that were seen by MUSSC as an effort to negate the changes won in October. The amendments proposed by the FA executive were defeated. By April, it appeared that pay cuts for sessionals set to take effect on July 1, 2018 would not occur. Pay cuts affecting some sessionals that took effect July 1, 2017 remain in effect. It is unclear what exactly transpired here, but the negative publicity caused by these cuts for both the institution and the FA may have played a role in the suspension of the pay cuts. It appears that MUSSC will now be seeking restitution for the 2017 cuts during the next round of bargaining. In addition, half of the FA’s executive board is up for election each year. Following the 2018 election, sessionals hold 5 of the 13 positions on the FA executive board. If MUSSC continues to mobilize, it may be able to secure a majority on the executive board next year. While this story continues to unfold, it is an interesting to watch a long-disadvantaged group of workers exert power so quickly and effectively against both their own union and their employer. One question I’m left with is what was the faculty association bargaining team thinking when they signed the memorandum of agreement? A second question is how will MacEwan University will navigate this kind of intra-union dispute? Will it try to exploit the internal division? Will it side with one side against the other? This week’s installment of Labour & Pop Culture looks at worker-generated contributions to pop culture—specifically memes. Workers have always generated cultural artifacts (paintings, handbills, poetry, songs, graffiti) about their work. Social media has given these forms of cultural expression wider circulation. 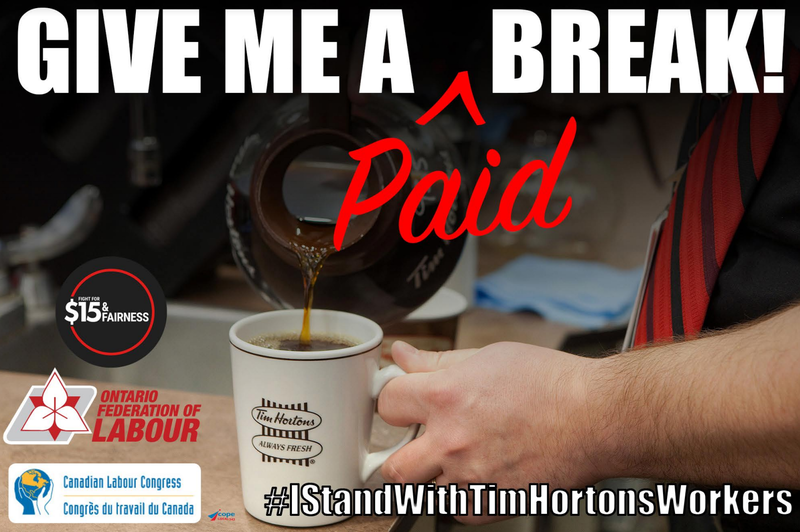 Consider this example, from the Ontario Federation of Labour in response to Tim Horton’s miserly reduction in paid breaks to offset increases in the minimum wage. The backlash caused (in part) by online campaigns like this one included protests against the franchise across the nation. This pretty clearly illustrates that, whatever their mission statements may say about valuing workers, employers' true interests lie in making profits. This meme clearly conveys the double standard in employment. The state allows employers to main and kill workers (up to point) by setting levels of exposure to hazardous substances. 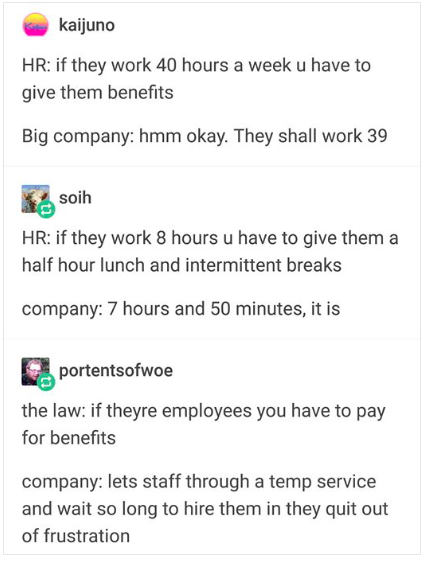 But if workers did the same the same thing to employers, the workers would go to jail. 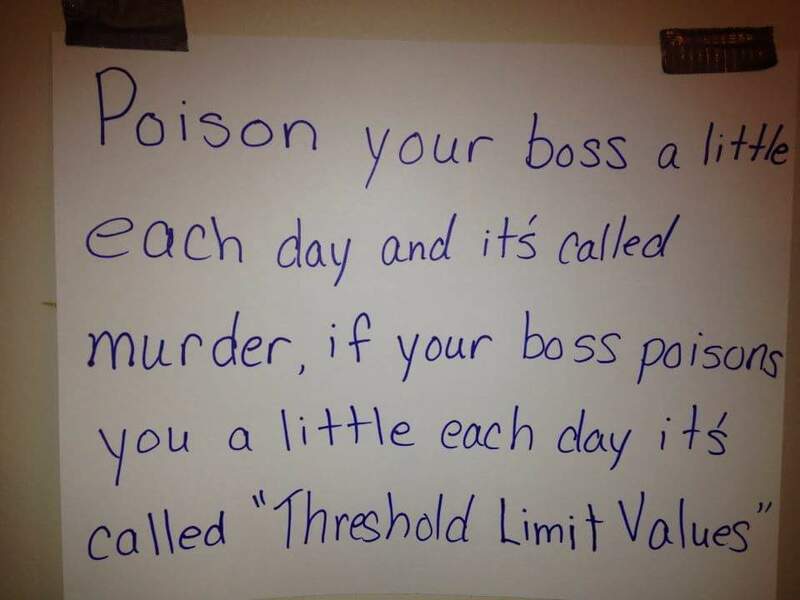 This kind of presentation often resonates with workers and causes them to re-evaluate their views. Worker generated memes also have the potential to change the minds of employers. For example, employers often complain about and/or undermine (e.g., by stalling) the operation of the grievance process. Filing an unfair labour practice against the employer is one option. Another is to start posting memes such as this in the workplace. This highlights to employers that there certainly are alternatives to complying with the grievance process. But they aren't necessarily the most desirable options for employer, all told. Overall, I'm very encouraged by the potential utility of memes in labour education. Employers engaged in collective bargaining can be tempted to communicate their bargaining proposals directly to their employees—essentially end-running the union bargaining team. Employers typically do this for two reasons. They may hope their explanation will make their proposals more palatable to the workers. And they may seek to undermine the union bargaining team. This approach has two main risks. First, employers may commit an unfair labour practice if their communication is found to constitute bargaining directly with employees. Second, direct communication may backfire by, for example, making visible discrepancies between what employers say and what they propose. For example, Athabasca University sent its opening proposal, opening presentation from bargaining, and a cheery note to the members of its faculty association last week. 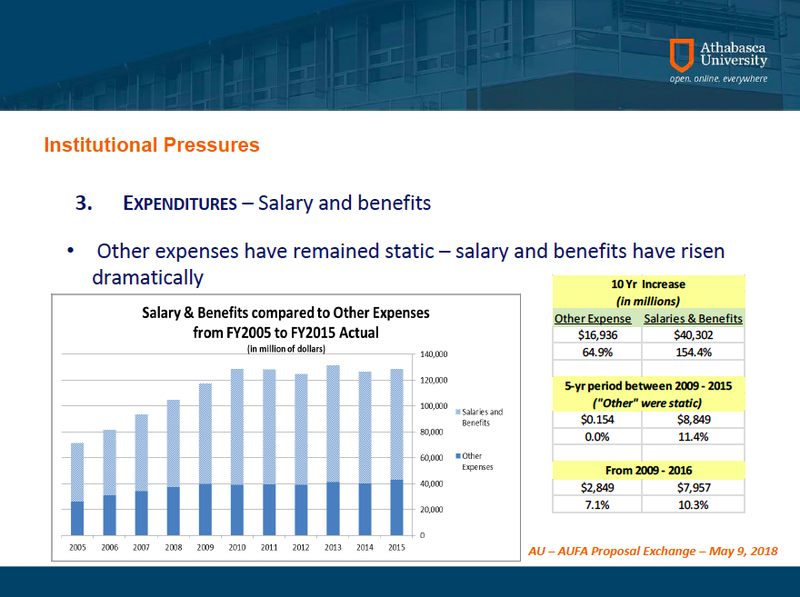 AU’s opening presentation stresses that the employer faces financial uncertainty and needs to control ongoing costs, such as staffing. It is in nominal (not inflation-adjusted) dollars. This overstates the degree of increase by not factoring in inflation. It does not control for changes in the size and composition of the staffing complement (which are decisions made by the employer). Looking at 2010 to present, staffing costs are actually stable (and, using real dollars, in decline). This is contrary to the employer’s narrative. Sloppily handling cherry-picked data is a fundamental mis-step with a savvy worker group that does data analysis for a living. The employer also sent along their opening proposal. A quick read shows the employer wants a wage freeze for the next two years. This is consistent with the employer’s desire to control expenses. Nevertheless, the other 43 pages of proposed changes have nothing to do with improving AU’s finances. Rather, they are an attack upon the substantive and procedural rights of the union’s members. An academic who does not get tenure can get booted out the door with no notice. Professional staff can be terminated at any time during their probationary period. The decision about whether a professional employee passes their probationary period is entirely within the employer’s discretion. Severance and recall rights will be significantly reduced for all employees in the event of layoffs. New discipline procedures will hamstring the union’s ability to represent members. This is especially concerning given AU's cavalier approach to discipline in recent years. Serious discipline (e.g., suspension without pay or termination) will be applied immediately, instead of after the appeal has been heard. Grievances alleging AU allowed a union member to be harassed cannot proceed to arbitration (so essentially the employer gets to stand in judgment about its own behaviour…). The composition of important appeal committees will be stacked in favour of the employer, undermining the principle of collegial governance. The freedom of professional staff is so significantly reduced that is becomes meaningless. The employer may force sick staff members to undergo examinations by company doctors. …reflect[ing] our desire to clean up existing language to better align to changes in the Alberta Labour Code, Alberta Employment Standards Legislation, to simplify a few processes for all of us, and to help us move forward together. We believe in you, we’re in this together, and we have no interest in disrupting your lives, the security of your families, or the progress of our students by being needlessly aggressive in bargaining. We’re working towards a win-win-win. The problem with Prineas’s statement is that these proposals are not just house-keeping. 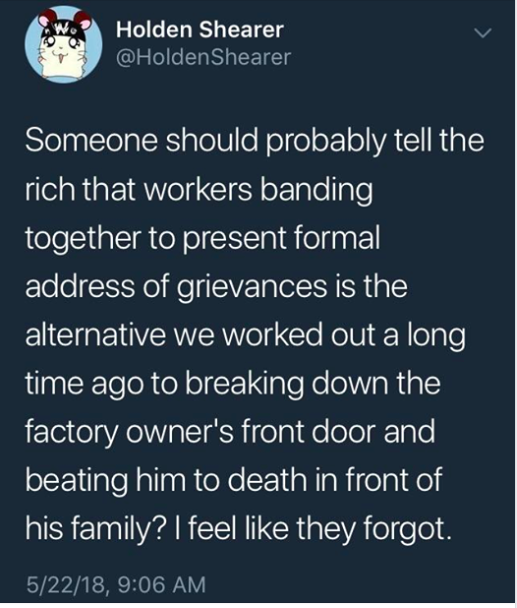 Rather, they entail substantial and unacceptable losses for the workers (on top of yet another wage freeze). They are also needlessly aggressive and, if pursued with any vigor, heighten the risk of a work stoppage. Prineas's effort to candy-coat AU’s so-called “win-win” proposals further diminishes the vanishingly small amount of trust that AU staff have in their leaders. An important question is who is giving AU this kind of labour-relations advice? So far this year, AU has been subjected to three unfair labour practice complaints and now it is rolling out a back-firing communications strategy. Equally important is the question of why is AU’s executive accepting advice that seems destined to intensify labour conflict? Is it seeking to precipitate a strike by faculty? Or are these proposals simply an attempt to reframe bargaining such that a wage-freeze suddenly appears to be a desirable settlement to faculty? This week’s installment of Labour & Pop Culture is an audio-skit entitled “Darth Vader's Employee Evaluation. I’ve been incorporating pop-culture representations of human resource management functions into a revision of the intro to HR course that I coordinate because comedy often reveals unspoken truths about the workplace. The workplace dynamic that this skit hits on (although perhaps not intentionally) is that performance management is essentially one arm of the employer trying to get employees to act in a way that is completely illogical to the worker given the broader structure of rewards and penalties in the workplace created by another arm of the employer. Specifically, the advisor ignores that Vader’s behaviour is a reaction to the pressures of his job. Vader’s own boss does not tolerate failure by his subordinates. Consequently, Vader cannot tolerate failure among his subordinates and behaves accordingly. Further, punishing space admirals shifts blame for failure (from Vader to them), there are always junior officers available to replace dead space admirals, and punishing employees is way easier in the short-term than working with them to improve their performance. HR’s unwillingness to recognize the reasons for Vader’s behaviour means that Vader is unlikely to accept their suggestions. An interesting question is what happens to the HR advisor when he subsequently tries to discipline Vader for continuing to force-choke his subordinates? What I like most about labour relations is the interplay of law and politics. An ongoing dispute at Athabasca University (AU) provides an interesting example of this dynamic. The Alberta Union of Provincial Employees (AUPE) represents support staff. The Canadian Union of Public Employees (CUPE) represents part-time, permanent, teaching-only employees living in Alberta (colloquially called tutors). The Athabasca University Faculty Association (AUFA) represents professors and professional staff. There is also a small group (~50) of tutors who reside outside of Alberta, Because of the operation of the Public Service Employee Relations Act (PSERA), CUPE cannot represent these out-of-province tutors (OOPTs), so the OOPTs have no union representation. In 2017, Alberta enacted changes in its labour law that brought AUFA within the ambit of the Labour Relations Code (LRC). Some OOPTs subsequently asked AUFA to represent them (which is possible under the LRC). AUFA got the permission of its members to suss out whether a majority of OOPTs wanted representation and commenced what amounted to an organizing campaign (getting OOPTs to sign unions cards). This was intended to establish that AUFA had the support of OOPTs to be designated into the AUFA bargaining unit. CUPE was notified of this effort by AUFA as a courtesy and were supportive. With organizing concluded, AUFA wrote to AU several times In March and April of 2018 seeking to have the OOPTs designated into the bargaining unit. (The unique legislative provisions (colloquially called “designation”) set out in the Post-Secondary Learning Act (PSLA) give the employer the power to determine who is an academic staff member and, thus, who is in the AUFA unit. This is an unusual arrangement and, in 2017, the government created an appeal process to the Labour Board). The employer ignored these communications. In mid April 2018, the president wrote a snippy letter claiming the university could not possibly address this issue in the short-term and it required a lengthy review and consultation process. AUFA saw this as stalling and readied its application to the Labour Board. On May 1, the employer was wrapping up negotiations with CUPE. CUPE always asks the employer to allow it to represent the OOPTs in bargaining and the employer routinely says no. The 2005 Labour Board decision above reveals AU prefers to have these workers without union representation, as it is less costly for the employer. According to CUPE representatives, the employer approached the union near the end of negotiations and (to CUPE’s surprise) asked (I’m paraphrasing) “what would you give us, if we gave you the OOPTs?” CUPE then made unspecified concessions and the employer agreed that CUPE could represent the OOPTs. AUFA filed its designation application with the Labour Board a few days later. It is likely that AU will seek to use its voluntary recognition (VR) of CUPE as the bargaining agent for the OOPTs as a way to bar AUFA’s application to represent them. CUPE may also seek to intervene in the designation application to protect its VR. Three legal issues will likely result from this move. The Board has been pretty clear that PSERA precludes CUPE from representing the OOPTs. This suggests that the VR between AU and CUPE may be null and void. Perhaps there is a sly argument to be made around the application of PSERA to a VR (or to an over-bargained certificate), but I don’t see it. 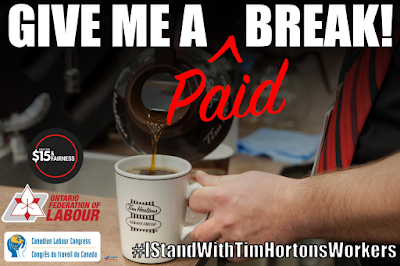 A basic principle of Canada’s labour relations is that employees, not the employer, choose their bargaining agent. When employer-friendly unions (such as the Christian Labour Association of Canada) collude with employers to thwart another union’s legitimate organizing efforts, mainstream unions typically complain the colluding union is employer-dominated. As far as I can tell, CUPE did not have the support of any OOPTs when it agreed to the employer’s offer to represent them. In the absence of such support, CUPE does not meet the definition of a bargaining agent (“…acting on behalf of employees…”) for these workers. Consequently, the VR and any collective agreement flowing form it will be null and void. CUPE cannot get around this need for representational capacity by inviting the OOPTs to ratify a collective agreement because it was negotiated without any representational capacity. The Labour Relations Code prohibits employers from interfering in the formation, organization, or administration of a trade union. AU’s decision to offer CUPE a VR when in receipt of a designation application by AUFA looks like interference in the OOPTs’ choice of a bargaining agent to me. AUFA will file an(other) unfair labour practices complaint against AU over this this week. We’ll see what the Labour Board makes of AU’s behaviour. While we don't know what was in AU’s mind, it is not unreasonable to infer that it sought to forestall AUFA’s efforts to bring the OOPTs into the AUFA bargaining unit. Basically, the employer preferred the OOPTs non-unionized. When that option was no longer viable, it preferred them in the less militant CUPE unit. About the only good here is that the OOPTs will finally have union representation one way or the other. CUPE’s agreement is understandable: the employer offered them a long-sought plum at bargaining. But, if the VR is ruled void, CUPE may still be stuck with whatever concessions it traded AU for the OOPTs in its collective agreement. That may cause some internal problems for CUPE, as existing members will likely be POed by concessions for no gains, especially after waiting three years for a collective agreement. In this way, AU has cleverly made something from nothing: it will either thwart AUFA’s efforts to organize the OOPTs or it will have gotten concessions from CUPE. It has also set the stage for a potentially nasty fight between CUPE and AUFA, which draws both union’s energies way from disputes with the employer. This suggests that the university received outside advice; its internal labour relations staff don't have this kind of game. This strategy does have some risks. For example, AU and AUFA are presently in bargaining and this is the first round of bargaining under strike-lockout. AUFA has already filed an unfair labour practice complaint against AU for failing to bargain and interfering in the administration of a trade union. Further antagonizing AUFA may not be in AU’s interests. This supposes, though, that reaching a collective agreement is AU’s goal. An alternative way to look at AU’s behaviour is that it is resisting recognizing AUFA as a legitimate representative of its members. Refusing to engage in good faith labour relations is a way to frustrate the union and undermine the union with its members. The idea that employers must recognize unions and negotiate in good faith is one feature of the post-war labour compromise that was first struck in 1944. In exchange, workers agreed to not strike during the life of a collective agreement (which is highly disruptive to employers and, thus, a very powerful tool for workers). If AU is (consciously or not) repudiating this arrangement and the Labour Board does not sharply correct this behaviour, workers may start asking themselves why they should abide by the rules? AU also runs the risk of annoying the government by picking a fight with workers in the run up to the 2019 election. This week’s installment of Labour & Pop Culture looks at the songs of the Westray Mine explosion that killed 26 workers on May 9, 1992. These deaths represent a clear instance of an employer trading workers’ health and lives for profit. The root cause of the explosion was the mine owners operating the mine in an unsafe manner. The Government of Nova Scotia also failed to enforce its own safety laws effectively. While the deaths of these miners resulted in amendments to the Criminal Code to allow for prosecutions, few governments have done so. There are literally dozens of songs about the Westray deaths. Ronnie McEwan’s “The Westray Mine Song” has a nice celtic-country vibe to it. 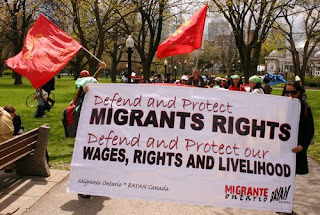 A new study of media representations of migrant workers was recently published in the journal International Migration. “Putting “Canadians First”: Problematizing the Crisis of “Foreign” Workers in Canadian Media and Policy Responses” examines how Canadian newspapers covered migrant workers during a so-called crisis in 2014 (that resulted in a moratorium on migrant workers) and afterward. Examining 49 front-page articles between January 1, 2015 and August 31, 2016, the article thematically analyzes coverage and identifies two main themes: temporary foreign workers (TFWs) as unwanted and TFWs as vulnerable. Other themes included government mismanagement of the TFW program. Looking at the articles temporarily, 2014 saw a preponderance of articles exhibiting negative views on TFWs. Essentially, up to the moratorium, newspapers provided an us versus them framing of TFWs. TFWs were specifically framed as replacing Canadian workers, in part by being willing to accept conditions that Canadians would not. Employers were also criticized for offering conditions that they knew no Canadian would accept in order to hire TFWs. There is a pronounced shift in 2015 (which included the federal election) towards more positive coverage of TFWs. In part this reflected the media turning on the then-Harper government for imposing a moratorium on the basis of super lousy data. Newspaper also began examining the exploitation experienced by TFWs from employers and recruiters. The study examines how media frames can shape public perceptions of issues as well as how reframing can occur in response to different stimuli. This week’s installment of Labour & Pop Culture is “On the Turning Away” by Pink Floyd. (You can watch the Pink Floyd version here). I picked this song because I though the sensibility of the song (if not its exact lyrics) speak to a troubling dynamic that has emerged in Alberta labour politics since the election of the New Democrats in 2015. Specifically, there has been a collective decision among most labour leaders that the NDs (no matter hard they are presently driving towards the centre in the hope of getting re-elected) are likely going to better for workers than would a Jason Kenney government. This is most likely correct. The result has been a mostly cooperative approach towards the New Democrats in an effort to avoid the divisiveness that helped to sink Bob Rae’s NDP government in Ontario in the early 1990s. Like any strategy, this approach entails trade offs. 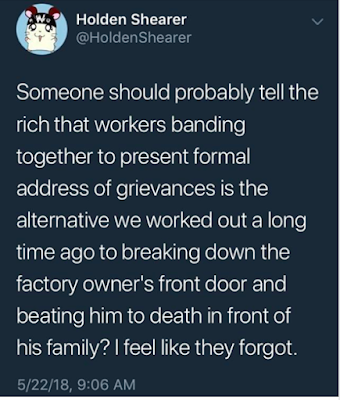 Last weekend’s Day of Mourning for workers who have been killed, injured, or made ill by their jobs illustrated one trade off. The Day of Mourning (borrowing a slogan developed by labour activist Mary Harris “Mother” Jones) demands that we mourn for the dead and fight like hell for the living. A review of labour’s messaging around the Day of Mourning suggests that it is tempering its fight for the living (at least in public) in order to provide political support for the NDs. During the (seemingly endless) years when the Tories were in government, Day of Mourning press releases issued by the Alberta Federation of Labour typically decried increasing fatality levels, ineffective government enforcement efforts, and the unjust exclusion of certain occupations from basic OHS rules. This reflected that the Tories basically didn’t enforce OHS laws and employers traded workers’ health for profits. In 2017, the AFL press release praised the government for making plans to use the Westray amendments to the Criminal Code to prosecute employers. As hundreds of workers gather to remember those killed, injured, or made ill as a result of workplace incidents on the International Day of Mourning, workers also celebrate changes made by the Government of Alberta that will mean a safer future for Alberta workers. Three paragraphs follow that outline and gently praise the changes set out in Bill 30. On the one hand, publicly praising politicians for enacting better laws around injury prevention makes sense—both in terms of getting future changes made and in re-electing the most pro-worker government Alberta is likely to see. The presser is also way for the AFL to obliquely claim an important victory that it has worked hard to achieve. On the other, I wonder if praising the government is the best way to use this once-per-year spotlight on workplace injury? Alberta has improved the content of its OHS laws. Yet there has been almost no progress on enforcing those laws (which, the research tells us, is what actually affects employer behaviour). Specifically, there are still relatively few workplace inspections each year. There are almost no sanctions imposed on employers for breaking the law. And, as far as I know, Alberta has yet to prosecute any employers under the Criminal Code. Not surprisingly, workplace injury and fatality rates are relatively static: at least 166 Alberta workers died from work last year and tens of thousands were seriously injured. Alberta’s labour movement could have used the last three Days of Mourning to push the government to fund better enforcement. Even better enforcement of the old laws would have been a huge win for workers. And yet, 75% of the way though the ND’s mandate, we’ve not seen any major improvements in OHS enforcement. Certainly the new laws are praiseworthy. But they are not enough—they require aggressive enforcement to be meaningful. While praising the government achieves labour’s electoral objectives, the workers who will be killed or injured on the job this coming year (and their families) would likely have been better served by demanding more enforcement. 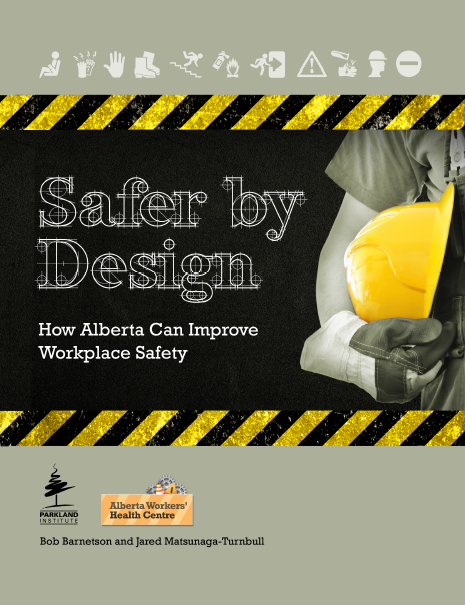 Last week, the Parkland Institute and the Alberta Workers’ Health Centre jointly published as report entitled Safer by design: How Alberta can improve workplace safety. This report was based upon a 2000-worker survey funded by the Government of Alberta OHS Futures Grant program. 1. Most workplace injuries in Alberta are not reported. For example, 69% of respondents who experienced a disabling injury did not report it to the WCB. This suggests Alberta’s injury statistics are skewed radically low. For example, in 2016, Alberta reported 44,543 serious (disabling) injuries. Our study suggests that true number is ~170,700. Overall, it is likely there are over 400,000 workplace injuries in Alberta each year. 2. Most employers violate Alberta’s safety laws. Only half had hazard assessments (which identify hazards and set out controls). Less than half involved workers in hazard identification. Only 59% told their workers about hazards and how to control them. 3. Many workers are scared to exercise their health and safety rights. Between 10 and 23% of workers feared negative consequences if they exercised their rights—such as asking for safety information or refusing unsafe work. In workplaces where workers are routinely exposed to many dangers (i.e., the workplaces where workers get hurt the most), fears levels were up to four times higher. This suggests that there is a fundamental problem with the internal responsibility system that underlies workplace safety in Alberta. 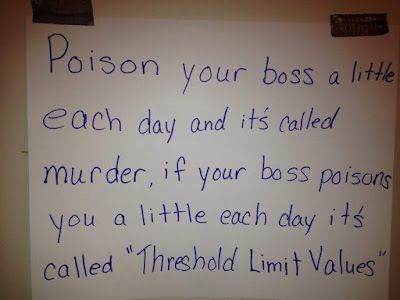 Employers often don’t hold up their end of the bargain (controlling hazards). Workers are fearful of exercising their safety rights. And government enforcement is virtually non-existent. This creates a vicious circle that helps explain high injury rates. While Alberta did make significant changes to its health and safety legislation, legislative change alone will not be sufficient to alter the behaviour of employers. The report makes 13 recommendations that should make workplace safer.